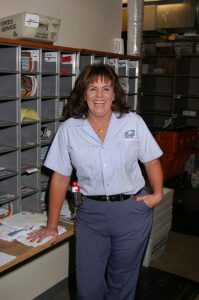 Venture Out has its own on-site Post Office located in the Community Center and staffed by U.S. Postal employees. Dish TV basic cable is provided to all lots and RV spaces offering 48 channels. You can add premium channels and Pay for View by simply contacting DISH TV, using the numbers provided in the Residents Guide. DISH TV also offers a low-cost hi-speed internet Broadband connection. Century Link provides local phone service and also can offer Fiber Optic connections for the highest possible speed internet connections. Century Link can currently connect up to 20 MB of internet service for those that need the highest possible speeds. A third internet option is provided at the Community Center where many of our residents use the free Wi-Fi hotspot, available throughout the center. Other services include, trash pickup, free WiFi hot spot at the RV overnight spaces, on site Realtors and on site Property Management, Notary Public, and copy and fax services. During the season, we even have a masseuse available to relieve your aches and pains. Also located on the perimeters of the community are RV storages spaces, RV dump and wash, car wash, and a beautifully landscaped dog park where they can run, play, and ‘take care of business’.